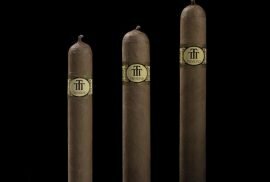 At Montefortuna Cigars, our first aim was to provide the most premium Cuban Cigars. But then, we realised that there are many regular production cigars that can be labelled as premium due to their unmistakable flavour, personality, look and history. One of these eternal brands is Montecristo. There is an old story about why the name “Montecristo” was chosen. 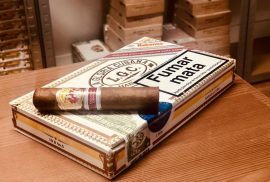 Apparently, at the factory, the book “The count of Monte Cristo” by Alexander Dumas was read to the “torcedores” while they were producing cigars. This remarkable fact, gave birth to the brand that has produced millions of the best cuban cigars in history. Not many brands can be compared to Montecristo. 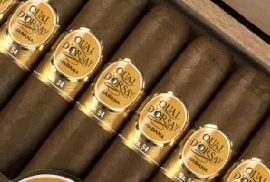 Of course, there are many special cuban cigar brands. But even if you speak with someone who is not familiar with cuban cigars you will find out they know Montecristo. Its fame is limitless. Many remarkable personalities have fallen into the pleasure of smoking Montecristo Cigars throughout history. In fact the all time best seller is the Montecristo nº2. Why are Montecristo Cigars famous? We all know how big the brand Montecristo has become. But why? What are the main reasons behind this? 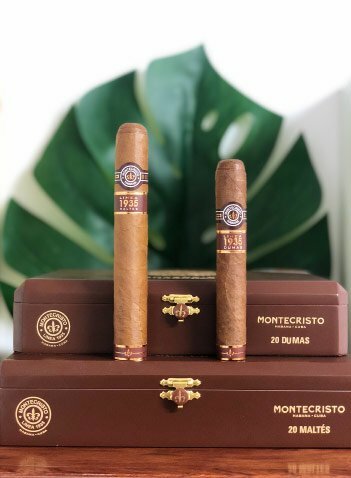 Montecristo was founded in 1935. Meaning that the antiquity is not the reason. For example H. Upmann was founded in 1840, almost a hundred years earlier. Is it because of design? We wouldn’t say so. The first brand that took design seriously was Ramon Allones, by introducing the colourful cigar boxes. Even cigar labels aren’t that exotic/appealing (except for the Linea 1935. Those are amazing). 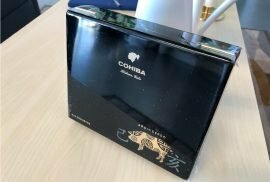 Of course the brand is elegant, and cigars are beautiful, but not too far from other cuban cigar brands. Some people say they became famous thanks to Dunhill, who was related to the brand soon after it was released. Dunhill marketed them in the UK which of course helped but, was that the reason? Probably because of what the brand represents. In the past, cigars were related to virility, something that true men did. As all of you know (you should at least!) the Montecristo Cigars are strong. 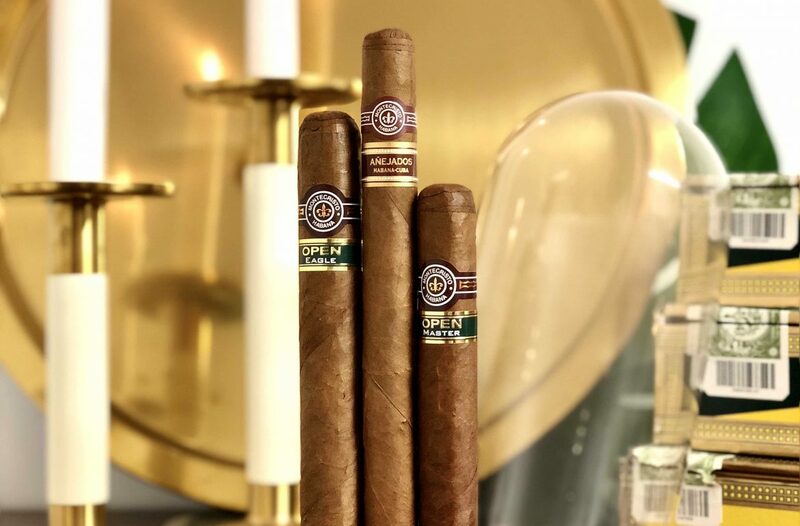 In the “light, light to medium, medium, medium-full and full” scale, Montecristo has always been in the fuller spectrum. Therefore, “true men” smoked cigars and the fuller the better. That’s how it became the cigar of true men, which gave the brand authentic fame among cigar smokers. But fortunately, times have changed and Montecristo is a brand of everyone. The Open Line was released seeking younger aficionados. As you can recognise by the name of each cigar from the Open Line, it has a clear relation to sports and open air activities: Open Regata, Open Master, Open Eagle and Open Junior. In fact, you can see a new direction design wise. They included a green label which made it way different than before. It gave freshness and youth to the brand’s image. Since it’s launch, brown has been its main colour. Brown gives a sense of seniority, experience. It’s a colour that represents time and age. That has more things in common with adult men than with youth. But time said that Montecristo is a brand for those who dare to smoke it. At Montefortuna Cigars, you will be able to buy Montecristo cigars online. We proudly offer a huge selection of Montecristo Cigars. Montecristo Cigars are, without any doubts, at the summit of the Cuban Cigar history. Why? Because of many factors. There is no specific one. History, personality, flavour or maybe, the count himself.